Torque Performance is happy to announce that we have become an official distributor for Brian Crower (BC) in NZ. Our focus is to offer cam kits for Honda K series engines for both street and Motorsport applications. We have already had lots of experience tuning these motors with BC cams and recommend the stage 2 kit for fast road and track vehicles keeping with factory compression. Other stages are available for turbo/supercharged applications and built motors running high comps. BC also have a range of stroker kits available. Stage 2 cam packages for K series engine start from $2295incl with the choice of either steel or titanium valve spring retainers*. 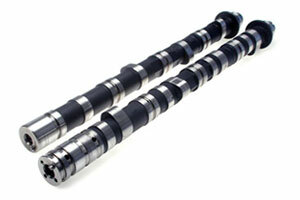 Packages include Camshafts, double valve springs, retainers and spring seats. *steel retainers recommended for street applications where the vehicle is a daily driver. While Honda will be our focus we are able to source cams and stroker kits for other makes and models such as Nissan, Toyota, Subaru, Mitsubishi and evenfor the latest Ford Ecoboost motors. Check out http://www.briancrower.com/ to see whats available for your vehicle. Brian Crower grew up at Crower Cams & Equipment Company, where he headed up the Crower Sport Compact division since its inception. With Crower Cams heavily focused on the V8 market, Brian saw an opportunity to truly support the needs of the Sport Compact community. With the support of his family, Brian Crower Inc. was formed to deliver the highest quality internal engine components for a variety of popular engine platforms. In the early 90's, Brian Crower was also an Indy Car mechanic for several years.